YOU GUYS! Canada’s biggest country music music festival, Boots & Hearts has just made their first announcement for the 2019 festival. 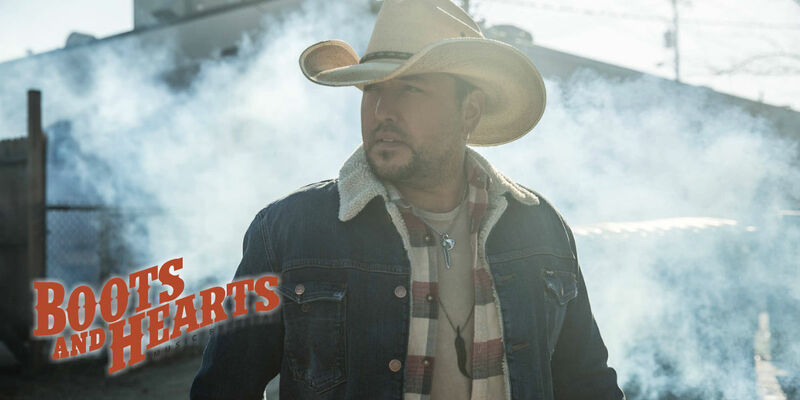 Jason Aldean has been named as one of the headliners. Canadian country music has officially crowned its latest emerging artist. Kris Barclay competed at the Emerging Artist Showcase at the 2018 Boots & Hearts Music Festival, and was awarded the title of official Emerging Artist on Sunday August 12th, 2018. One of the best parts of any music festival (other than the music) is to observe the fashion trends, and see what everyone is wearing. Boots & Hearts Music Festival is no different! The Emerging Artist Showcase presented by Chevrolet has become a staple feature of the Boots & Hearts Music Festival in Oro-Medonte, ON. The showcase features a group of artists who compete for the grand prize – this year there were 7 artists in the showcase. Boots & Hearts Music Festival in Oro-Medonte is Canada’s biggest country music festival and has a reputation of booking the best talent in country music. This year’s festival has headliners like Florida Georgia Line, Alan Jackson, Thomas Rhett & Billy Currington. Festival season is here and we want to help you have the best Summer of festivals ever! We have teamed up with The Brewhouse Bodycare Co. to help make festival camping WAY more comfortable. Canada’s biggest country music festival Boots & Hearts is fast approaching! The Boots & Hearts lineup was announced a while ago, but they left us guessing when each artist will be performing. Well they have now told us their schedule. It’s finally here! The Boots & Hearts Music Festival lineup for 2018 has been announced, and it’s on fire! This year’s lineup is a great mix between Boots & Hearts Alumni, and new performers. The three headliners are Florida Georgia Line, Alan Jackson, and Thomas Rhett.